Are you missing your buoy? A Beach Drive neighbor found this buoy while beach combing this morning. If you’re missing your buoy, she’s happy to return it to you. 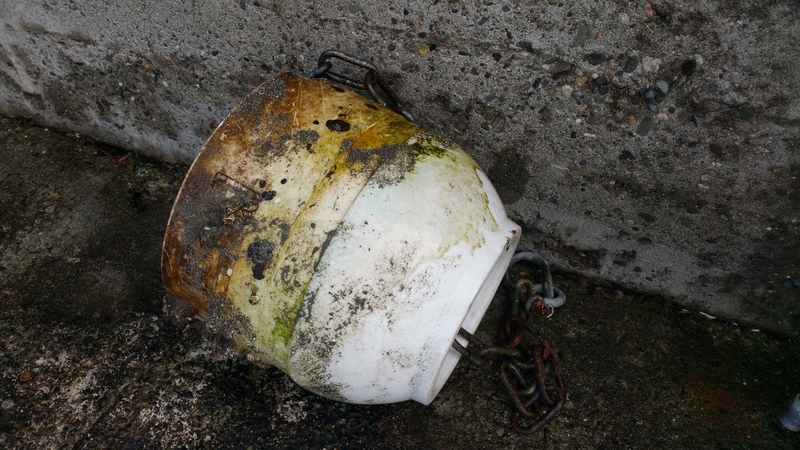 My neighbor’s large round mooring buoy broke loose last week. It’s white with black numbers. It floated away from the 5400 block of Beach Drive. She’s asking anyone sighting it to please call 206-734-5992.